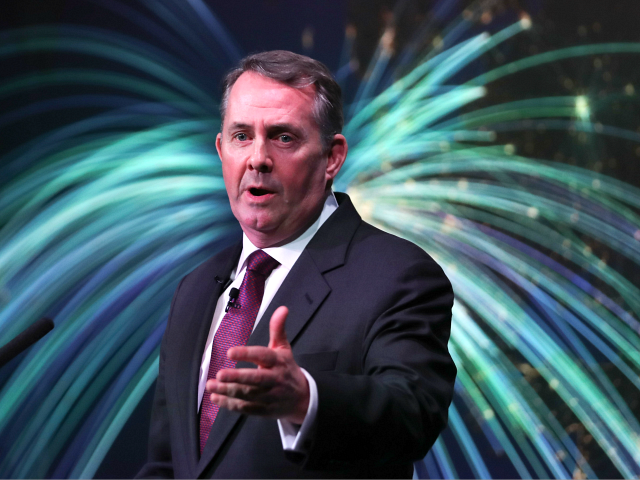 Liam Fox has warned that if politicians refuse to respect the people's vote for Brexit it could unleash a "political tsunami". The EU has every incentive to make life as hard as possible on the Brits if they actually leave as planned. Any real compromise is virtually impossible under EU rules that require the unanimous consent of all remaining member states. In addition, real compromise would increase the risk that other countries would follow the UK’s example and the EU would disintegrate. 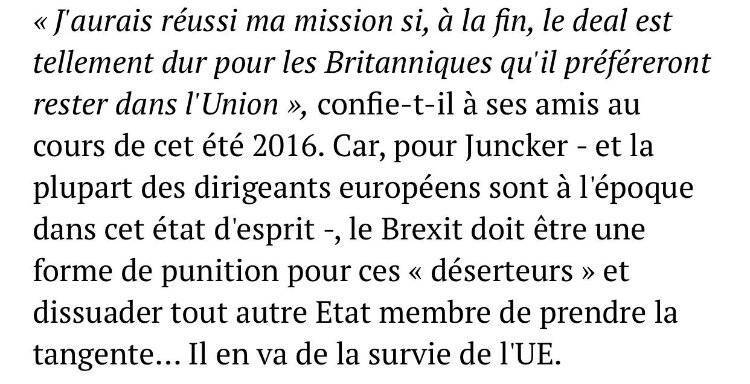 The fact that the EU may suffer as a result of a no-deal Brexit is not a major consideration in this equation. As far as popular unrest in the EU, there is no practical way to change the basic structure of the union. The only real option is something like, "beatings will continue until moral improves . . . "
I have a friend in the uk. He and his wife have a villa in Spain where they were going to retire to when the time comes. Brexit has definitely thrown the old monkey wrench in their plans. Correct. I voted for one James Carter in 1976. Can they learn from those mistakes? I have not regretted any vote since. how are those trade deal working out for the UK, oh wait they yet to sign a single one. I have faith that Britain can survive in or out of the EU. On the other hand I am not so sure if the EU will survive though considering the last Italian election and the rise of populism which has been growing with no signs of stopping since the migrant crisis. Interesting times. The popular politicians in Europe are the ones that are pretty much Euro Skeptics or at least act like they are in order to get voted in. They promised no hard exit, it was their main campaign promise during the vote its the only reason they won. Actually the bigger promise that attracted people was that the NHS would suddenly be flush with all this cash saved from no longer being in the EU…a promise that Nigel Farage disavowed the very day after the vote. A hard Brexit would mean they would have to trade with WTO rules. Basically like everyone else outside the EU, they could make their own trade rules. From what I understand a soft Brexit would be similiar to what Norway has. I’m sure some native Brit’s that post here will describe it better. I pretty much agree with everything you just posted though about the EU. Says a guy who is against Brexit! A lot of them voted for it because membership in the EU was drawing in so many immigrants not being vetted & ending up doing terrorist attacks. Is he wrong, or were you just going to make it personal in a sad attempt to bump this thread? Oh I definitely agree, Camerons call for the referendum happened to coincide with Merkels opening door policy. I would imagine the leave campaign could have never dreamed of a better scenario happening to draw in votes for leave. I have no problem or shame in bumping my own threads. I really don’t care what you think about me doing so. But hey, I also answer my threads, I just got around to it, I actually work for a living & don’t have time to sit around in my underwear in my parents basement all day like the left does. Why continue to make thing personal? It sounds like you’d rather avoid talking about the subject, which is a given. What did @MoleUK say that was wrong? Or did you want to just take more personal shots? You just made my point! The elites are doing everything they can to slow walk Brexit, & they will also slow walk anything that might improve the chances of any successful conclusion to making it happen. They IGNORE the will of the people in favor of running over them with what they want.